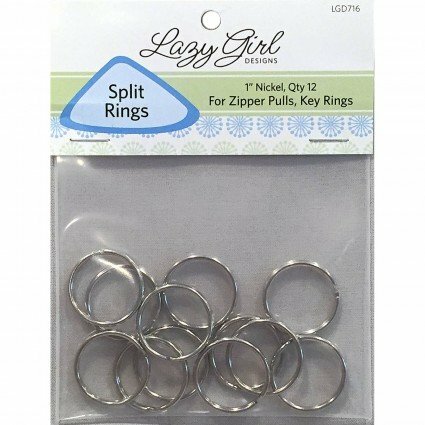 SPLIT RINGS 1" for Zipper Pulls, Key Rings and more. Quantity: 12. Perfect hardware for your favorite bag or purse - especially the Banana Bag Pattern by Lazy Girl Designs.